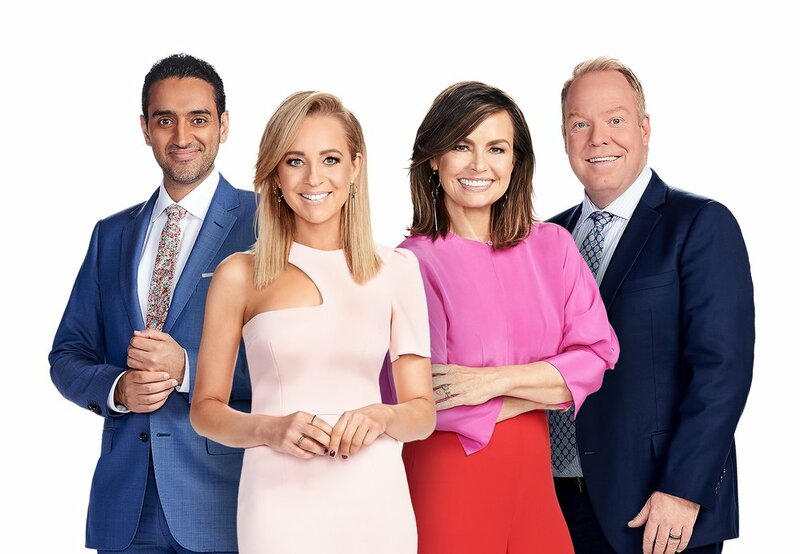 At WIN Television (“WIN”) we take very seriously your privacy and our obligations under the Privacy Act 1988 (Cth) as amended from time-to-time. Any personal information you provide to us will be managed carefully. WIN have a range of procedures in place to help protect your privacy. At WIN we conduct our operations in accordance with the Australian Privacy Principles. These are minimum standards that set out the general principles governing information handling practices for organisations like WIN. WIN are also committed to high standards of privacy protection including our journalism through our adherence to the appropriate legislation and regulation. When Does WIN Collect Personal Information? WIN may collect personal information from you through one of a number of interactions that you might typically conduct with WIN. WIN can only identify you personally if you elect to give us information voluntarily. WIN may collect personal information directly from you when you provide this information to us by phone, in person, by email, or when you submit personal details through our online forms or registration on the Website. The type of personal information we collect will vary according to how you interact with WIN. when you provide a service or products to WIN. Personal information that we collect in this manner is primarily used to allow us to contact you. How Does the WIN Website Collect Information About You? When you visit our Website, our web server may automatically record some general information about your visit, but does not recognise or record any individual information about you. You acknowledge that when you disclose personally identifiable information on the Website, that information, along with any substantive information disclosed in your communication, may be collected and collated and used and disclosed by WIN and may result in marketing and promotional messages being sent to you from WIN or its associates and affiliates. There may be times when we ask for personal information from you and you do not wish to provide it. If this information is not provided, this may mean that we cannot provide access to a particular feature or offer on the Website, such as entry in a competition or the submission of a comment or opinion. WIN reserves the right to perform statistical analysis of user activity and characteristics in order to measure interest in and use of the various areas in the Website and to inform others of such information, as well as the number of users who have been exposed to or have clicked on any particular areas in the Website. Please note that Advertisers or sponsors on the Website may collect information when you view, click or interact with their advertisements. We do not have any control over this data collection. What Personal Information Does the WIN Website Collect? The Website offers a range of functionality, some of which requires you to register your personal details on the Website. When registering with the Website, you will be asked to select a username and password. We will collect the following information via the online registration form on the Website. This information is available to you at all times and may be updated or changed at any time by logging on to the Website with your username and password. We would appreciate it if you could let us know when personal information you have supplied to us needs to be updated or is no longer valid by updating your Profile. What Does WIN Do With Personal Information? The purpose for which we collect the information is to give effect to the particular interaction you have with WIN. That might be, for example, when you participate in a competition we run, for publicity or promotion of a Network personality or for developing the business relationship between you and WIN. WIN may share the personal information that you have given to us with other companies within our group, our associates and affiliates. WIN may also use your personal information for related purposes that you would reasonably expect. WIN take particular care with any sensitive information. There may be circumstances where we want to use your personal information to let you know about programs or to get your feedback on our operations. If WIN use your personal information for direct marketing purposes, WIN will give you the opportunity to opt out of receiving any further marketing material. If WIN have contracted out a service to a third party, WIN may need to disclose your personal information to that third party to ensure that you get the service needed. In these circumstances, WIN require the third party to protect the privacy of the information that is disclosed to it. There may be circumstances where the law requires us to disclose the information, or where disclosure is required to prevent a risk to health or safety or for law enforcement purposes. WIN have internal security measures in place to help protect personal information from misuse, modification, unauthorised access, or disclosure. WIN have a security system in place to deal with the physical security of our premises and the personal information kept at our premises. WIN have procedures in place to maintain a secure computer/ electronic system. WIN take reasonable steps to ensure that work areas are secure and information on databases is protected by passwords and accessed only for legitimate purposes. WIN staff are aware of their obligations under the privacy principles to make your privacy a priority in dealing with personal information. WIN take reasonable steps to ensure the information we collect, use and disclose is accurate, complete and up to date. When we no longer need your personal information we have procedures in place to either destroy it in a secure manner or to permanently de-identify the information. Can You Access And Correct Information Held by WIN? WIN maintain records of personal information we have collected. You can gain access to the personal information held by WIN about you in two ways. We will process a request for access as quickly as possible. WIN reserve the right to impose a reasonable charge for processing and collating personal information, where appropriate and permitted under the Privacy Act 1988. If you inform us that the information we hold is incorrect we will, if appropriate, amend those records. WIN will not sell your name, contact details or other personal information to any third party without your express, prior permission. If you are concerned that there may have been some inappropriate use or disclosure or any other breach relating to the use of your personal information, we want to know about it. All complaints we receive will be investigated. If you have other questions regarding our information handling processes, please contact us via our Contact Us page. For more information about privacy issues in Australia, visit the Australian Federal Privacy Commissioner's Website.